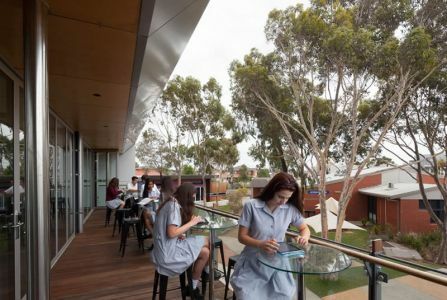 The two storey Learning Commons consists of ground floor specialty learning enviroments opening up onto outdoor learning spaces with the first floor an open plan learning commons. 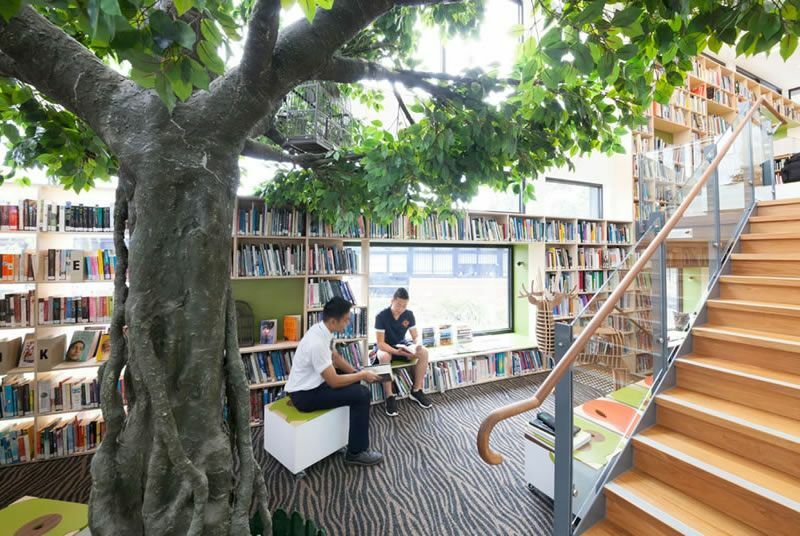 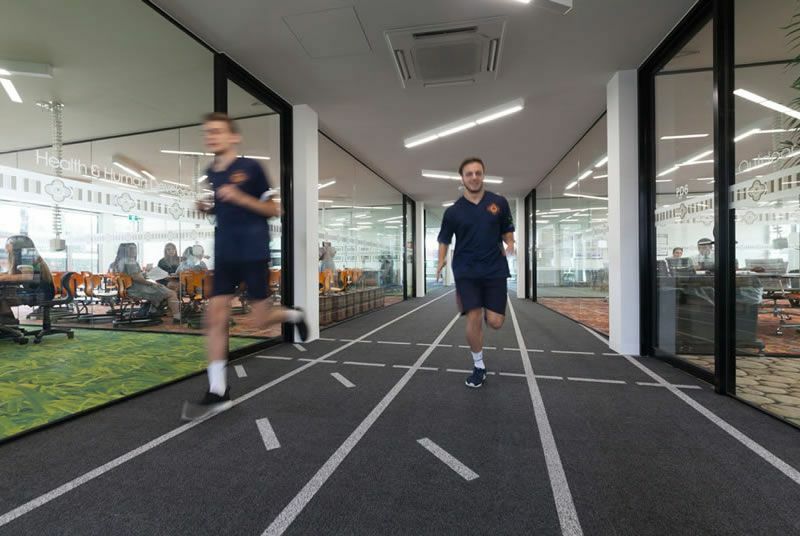 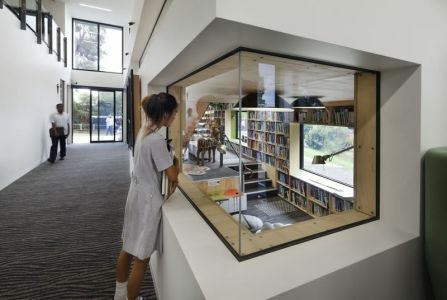 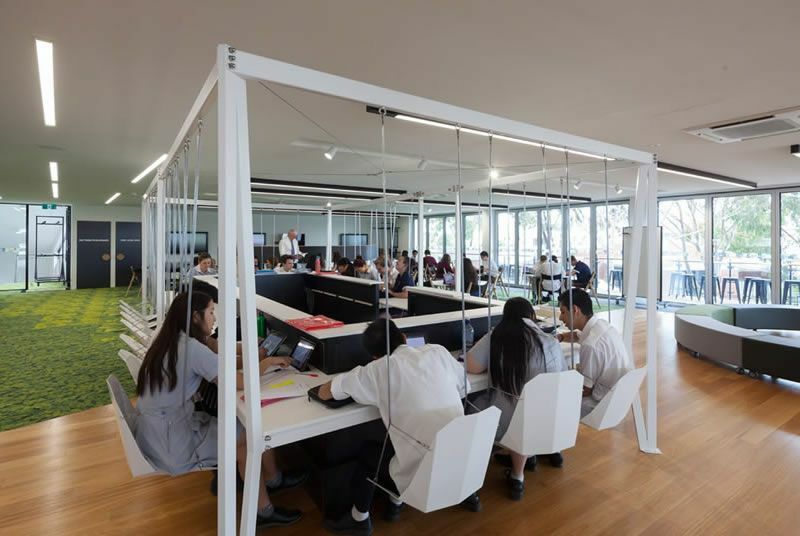 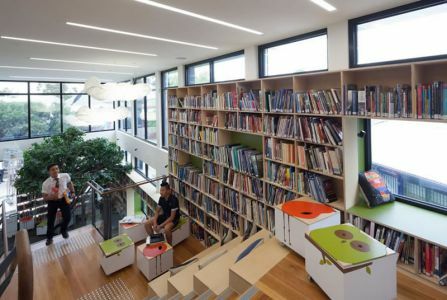 Features include an internal running track used for 'beep testing', grass carpet recasting expectations of traditional learning spaces, indoor tree, and reading retreat below the stair. 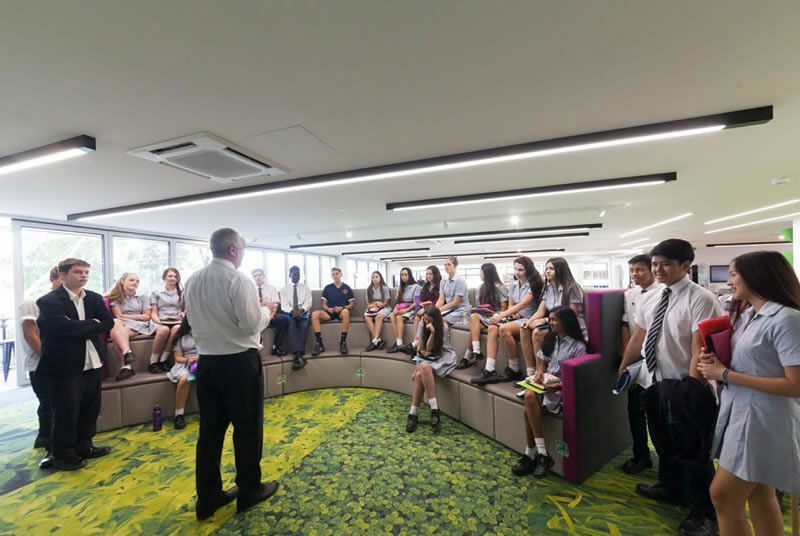 students to visit the learning commons on the first floor which is accessed by the staircase lined with bookshelves and stepped seating. Once on the upper level students are greeted by a baby grand piano and 'swing bar' and a vista of the tree-tops as seen from the balcony. 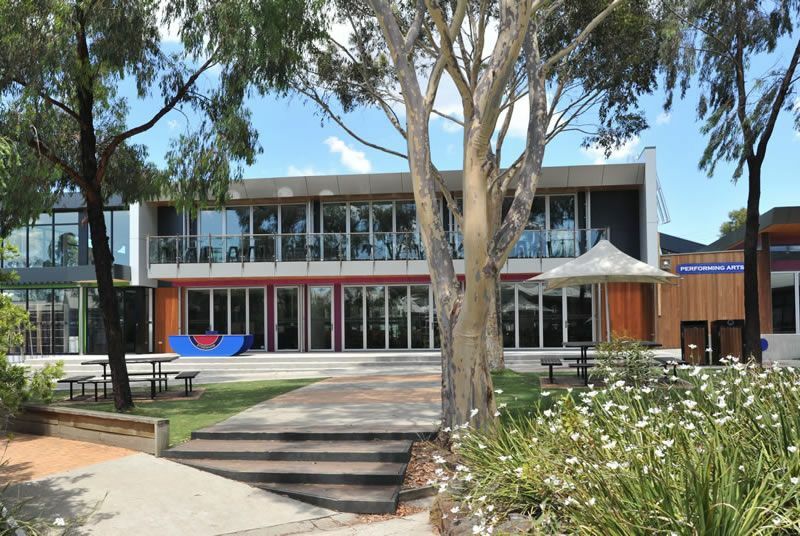 The modular building was pre-fabricated off site to reduce on site construction time, the building materials and techniques have achieved an equivalent or superior permanent building in terms of orientation, glazing performance, insulation and energy and water use.